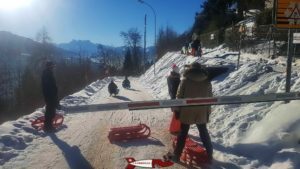 The winter sled run at Les Avants links Sonloup to Les Avants on the heights of Montreux. It is served by the very picturesque les Avants – Sonloup funicular dating from the end of the 19th century. From Sonloup, you can enjoy a superb view of the Rochers de Naye on one side and the Pleiades on the other side. The ascent by funicular from Les Avants. Parking next to the Avants MOB train station. 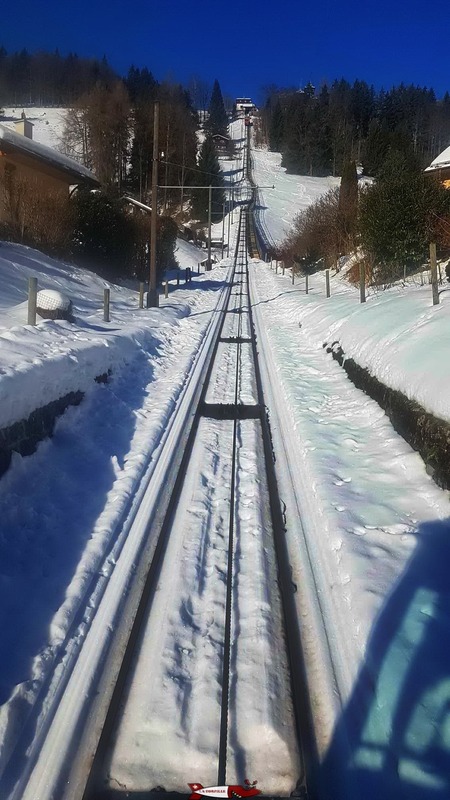 To reach the top of the sled run, you reach the departure station of the Avants funicular located a few metres from that of the Montreux Oberland Bernois. The sleds are placed on the funicular trailer that climbs to Sonloup about every 15 minutes. The sled descent is made on a road whose access is open to residents at certain times of the day. 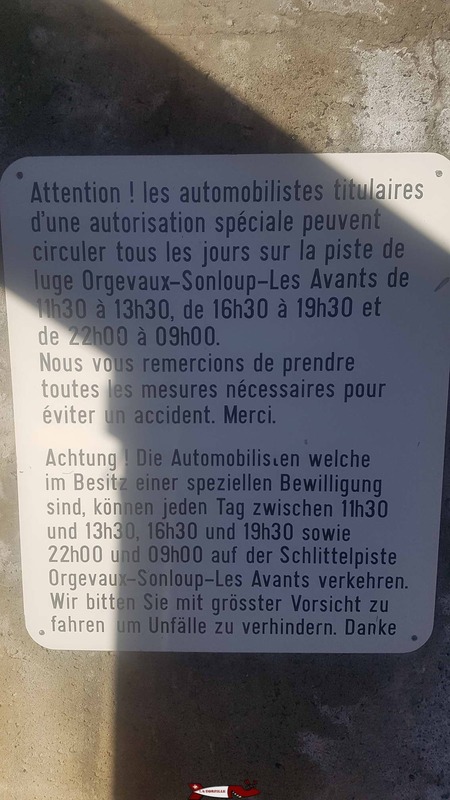 However, the possible climbing of a rare car is not a problem because of the good visibility. The descent is steep enough not to have to push and is ideal for small children because it is safe. It lasts about ten minutes at a moderate pace. 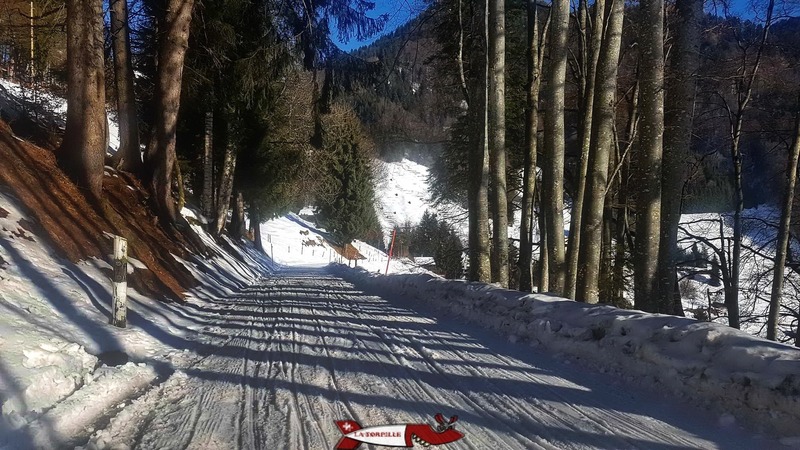 The route of the winter toboggan run in Les Avants. An indication of the traffic advisory. The altitude of the runway is relatively low with a departure at 1150m and therefore it is necessary to pay attention to the snow conditions. A webcam is available at Sonloup and the track status is available on the Internet. It is possible to rent sledges near the Avants MOB train station and there are night trains on Wednesdays, Fridays and Saturdays until 10 pm. Refer to the MOB website for all information. The start of the winter sled run at Les Avants and a portion in the forest.